Description: TSAL072 - Lion At Attention Marble Statue - Lion at Attention is one of those marble statues life size, of hand carved marble perfection that the marble artist designed as an upgrade on marble animals. 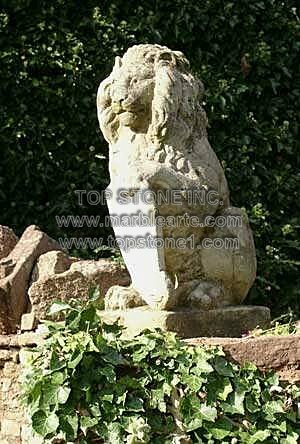 These marble lion statues make for perfect lawn statuary, landscape statues, cat garden statues, and statues for garden. Set this garden lion statue for your backyard too.